Welcome to your new home! 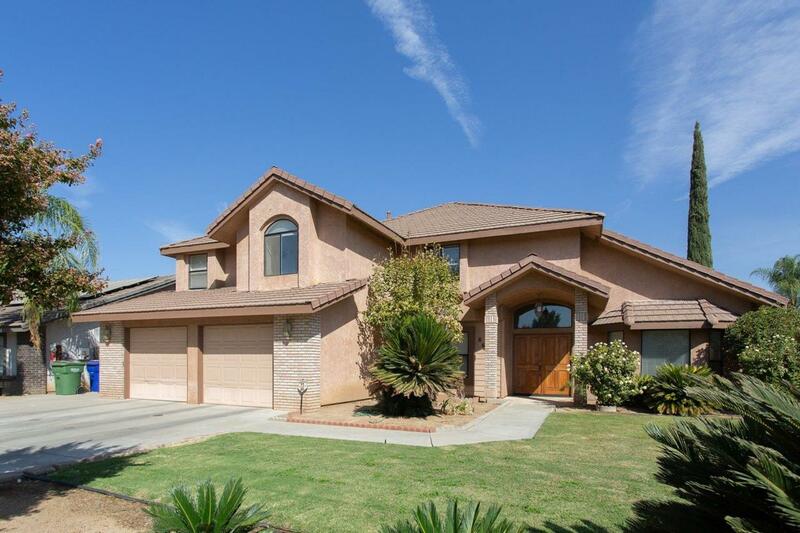 This two-story custom built home with 4 bedrooms and 3 bathrooms is located in Dinuba's desirable north side. This home is in an ideal location walking distance to Lincoln Elementary School, Washington Junior High School,and a large dog park. This beautiful home features: new tile in the kitchen, hallway, and bathrooms; new carpet in the living room, family room, and bedrooms; new kitchen appliances. There is an elegant curved staircase and built-in wet bar in the living room along with a fireplace in the family room. The separate heating and cooling units for the upstairs and downstairs provides for a more efficient system throughout the home. Great home for entertaining family and friends with the large back yard, swimming pool and covered patio, No HOA fees. Call agent for a tour, This home is a must see!